Choosing to work with a life coach is a major decision. How can you know you’re making the right choice? Or do you want to know more about BWRT? Here are some questions and answers you may find helpful. You keep going on about Mapping Meeting – do I have to have one? Yes, this is an important way of making sure what steps we need to take in order to help you, and it gives you the chance to make a choice if you want to work with me before you invest anything apart from your time. The things you would like help with may need a bit more unpacking, we can decide the best way forward for you. Can I use your services for just BRWT and not life coaching? No. Hypnosis tries to create an enhanced response to suggestion. You will be totally in control of the results you want, you choose your outcome, there is no leading or suggestion made by me and the whole process can be undertaken content free. There is nothing mystical about BWRT it simply uses natural processes of the brain. Will BRWT cure my phobia of spiders in 1 session? Usually you will experience a massive improvement after one session. BWRT has seen amazing results. 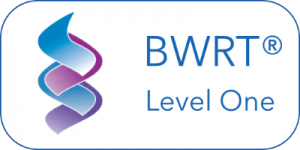 I have no doubt that when you participate fully in BWRT that you will experience incredible results. Of course, we are all individual and this is why it’s important to have your free Mapping Meeting first. This will help ensure great results that you are happy with. Where are you based, and will you come to my home? My offices are based in RM16, Essex. I can be flexible with where we meet, but when you get in touch we can decide what is best. What if I don’t have any real visions or goals but just want to chat with you? That’s absolutely fine. I’m always ready to listen. When you have your Mapping Meeting, which is your free, no obligation introductory session, we can talk about what it is that you would like to do. I really don’t want anyone to know I’m seeing you for coaching, how can I make this discreet? Everything in our sessions is private and confidential, when you have your Mapping Meeting we can agree on what you would like. You have no need to feel ashamed or embarrassed, I see people from all walks of life. Can I be completely honest with you about my past? Life Coaching is a forward looking approach to life. However, if there are certain things we need to address then be assured that the coaching sessions are private and confidential. I will listen without judgement. I have heard a lot of things and I’m not easily shocked! In the case of BWRT sessions can be undertaken content free, this will be explained during your Mapping Meeting. What if you are not right for me? This is an important point. Both you and I need to feel comfortable and confident that we can move forward together. You absolutely have the choice if you think I’m not the right Life Coach for you, and equally if I don’t think I can help you or can recommend another course of action for you then I will do what is best for you. Before you engage me as your Life Coach you will undergo a Mapping Meeting. This is a free, no obligation introductory session where we can go through where you are at. You will have time to decide if this is right for you without worrying about investing anything other than your time. How long will it take for me to achieve my goals/change? Everyone is different, their goals are different, what they want to change is different. When you have your Mapping Meeting, which is your free, no obligation introductory session, we can detail all of this and agree on a timescale that you are happy with. How do I know life coaching will work? I use time and result proven techniques. It might have taken you months, most likely years, to cultivate your pattern of thinking, your behaviours and your choices, so one session might not allow for lasting change. However, I’ll work with you over an agreed timescale and with your commitment and determination we will get you where you want to be. You may know exactly what you want help with or you may not have a clue, you just know that you want something to change. I can help you either way. The only thing we have control over is ourselves. We can’t control circumstances but we can control how we respond to them. 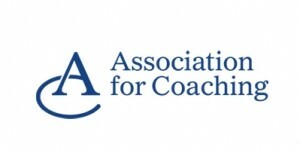 It is important to understand that life coaching will mean making a change towards making better choices.